Juan Castaneda or JC as he is sometimes known is an amazing person. He is a hard working well-respected person in the special events field. Juan is also a celebrity DJ and has played for many east coast nightclubs. He is the go-to DJ for all of our high-end clients. Juan has the knowledge and experience to assist you with the design and production of your special event. 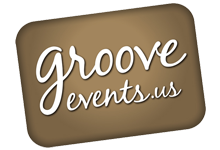 DJ JC from Groove Events on Vimeo. Juan at a live event! DJ JC is the man. if you want a rock solid Dj with the skills of a Miami or LA DJ stud than this is the Dj for you. Experienced and bake to kill it at any moment, DJ JC will represent. Latin music, hip-hop and R&B, Dance and the old skool classics!. DJ JC the man!